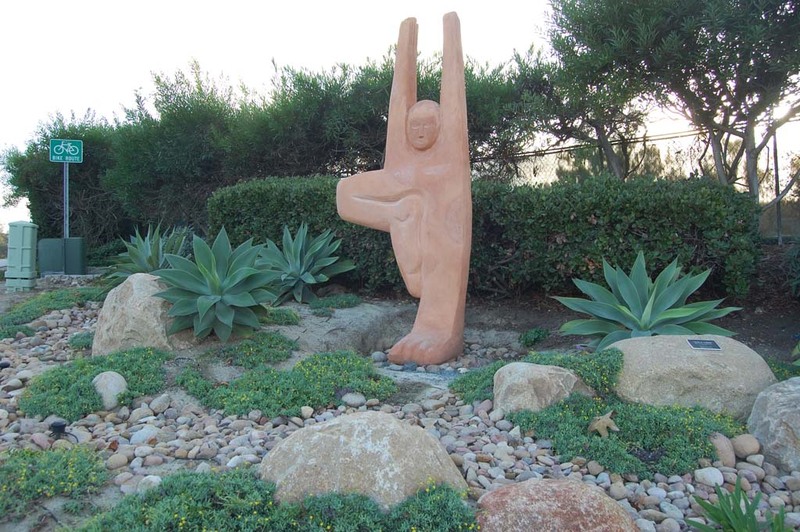 SOLANA BEACH — While a neighboring school district tries to eliminate yoga from its curriculum, Solana Beach is adding a yoga-themed sculpture to its public art collection. At the Nov. 13 meeting, City Council voted 4-0, with Tom Campbell absent, to purchase Brennan Hubbell’s “Yoga Tree” for $8,000. In February, the city contracted with Hubbell to display “Yoga Tree” as part of its temporary art program. The 12-foot sculpture, which sits on the corner of Highland Drive and Sun Valley Road, is formed to illustrate a common yoga position known as the tree pose. The figure is balancing on one foot while stretching upward. The piece was originally on loan to the city for one year. According to the staff report, community response has been very positive, and a request was made in March by Zito and Mayor Mike Nichols, the other arts commission liaison, to possibly add the piece to the permanent art collection. Since the sculpture was installed, the area where it is located has been landscaped with boulders and drought-tolerant plants donated by the Solana Beach Civic & Historical Society and planted by volunteers. At its May 28 meeting, the Public Arts Advisory Commission voted 6-1 to recommend purchasing the piece. In October, commissioners agreed “Yoga Tree,” if purchased, should remain at the current location for at least three years given the added landscaping. A master art policy adopted in 2007 requires developers to either contribute a piece of art as part of their project or pay into the public art fund. The balance in the reserve public art account is $139,775. The policy requires that 20 percent of the funds be available for communication and outreach efforts to support cultural tourism and marketing of the city. So 80 percent, or $111,820, is available for art purchases. 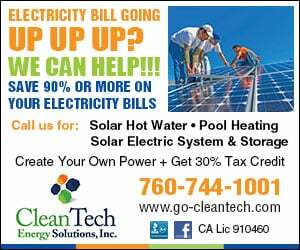 The city received no correspondence and no one spoke for or against the purchase at the meeting. Hubbell won the San Diego Emerging Artist 2013 award and has several public sculptures on display throughout the county. Meanwhile, nearby Encinitas Union School District recently prevailed in a lawsuit filed by a parent who believes yoga being taught as part of the physical education curriculum is religious in nature. The decision is being appealed.